When you aren’t eating right nutrients for your body, your skin is going to tell you – and the rest of the world. Your skin is the largest organ of the body and also happens to be one of your best vehicles for detoxing, which is why the skin is a great indicator of what’s going on in your body. Just like your eyes are the window to your soul, your skin is a window into your digestive system. Blemishes and acne, for instance can indicate that there’s a lot of inflammation going on in your body, or a hormonal imbalance. This could be caused from stress, poor dietary choices, alcohol. The first step in treating skin conditions is to nourish and heal your body with good nutrition. Eating for your skin is easy, fun and actually delicious when you know what to look for! All the foods that help your skin glow also happen to be very nourishing to your body and can help to keep your body strong and healthy. Incorporate these foods into your diet on a daily basis to help you get that awe-inspiring glow we all dream of. Get a green smoothie or fresh green veggie juice into your diet daily. If that is a struggle make sure you include 2-3 handful of dark leafy greens into your meals daily. Choose organic greens to avoid pesticides and chemicals. Dark leafy greens are medicine for the skin, they are rich in vitamins, minerals and antioxidants. They also help to detox toxins and impurities. Fats are essential in skin function and appearance, they help to reduce inflammation in the body and are important for repairing the skins barrier, helping you to maintain youthful, plumpness looking skin. With each meal make sure you have one healthy fat source such as avocado, nuts, flaxseeds, chia seeds, olive oil, olives, hemp oil or fatty fish such as fresh salmon. Drink a minimum of 2L of water daily. Water helps to hydrate your skin and flush toxins and waste products from your body. Why not add some fresh lemon to your next glass of water for extra cleansing benefits. Zinc is an amazing beauty mineral. Zinc supports wound healing, the production of oil and hormone balance. Since hormonal imbalance could be an underlying cause of acne, zinc is a great mineral for treating this. The best food source of zinc is oysters, other food sources include beef, lamb, pumpkin seeds, crab and lobster, chickpeas, cacao powder, pumpkin seeds and cashews. Since microbial balance is one of the keys to maintaining optimal health and radiant skin I highly recommend supporting your gut health with fermented foods or a good quality probiotic. Start by adding 1-2 tsp of fermented foods to your lunch and dinner meal, such as sauerkraut, kimchi, or enjoy kefir or kombucha daily. Another option is to take a condition specific probiotic to clean that gut. Parsley, basil, dandelion, coriander, and watercress are very high in vitamin A, an essential component to happy, healthy skin. These greens also help rid your skin of harmful bacteria and nourish it with vitamins and minerals. You don't need to eat a lot of them to reap the benefits; simply sprinkling a handful over your food daily is perfect. Don’t forget to remove inflammatory foods and drinks which will dull your shine and wreak havoc in the body. Alcohol, gluten, sugar and for some people (like myself) dairy doesn’t do my skin any favours. 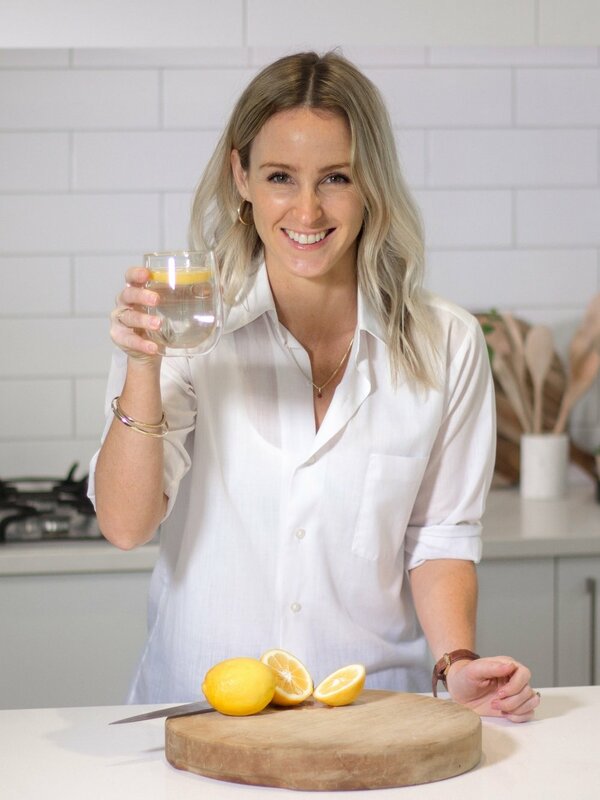 If you’re struggling with skin issues and you’d like some more dietary and lifestyle recommendations, please get in contact with me today by emailing hi@nataliebrady.co.nz. I’d love to help you achieve radiant, youthful looking skin so you can feel and look your best every single day!